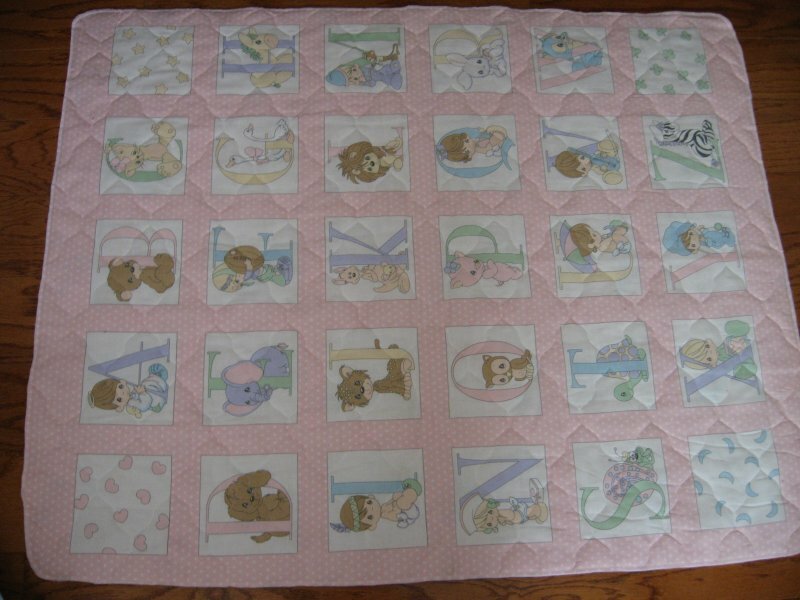 Out of print, and hard overcast stitching, and you can apply to find Precious Moments pre quilted panel . Smoke free Rare Out of print. 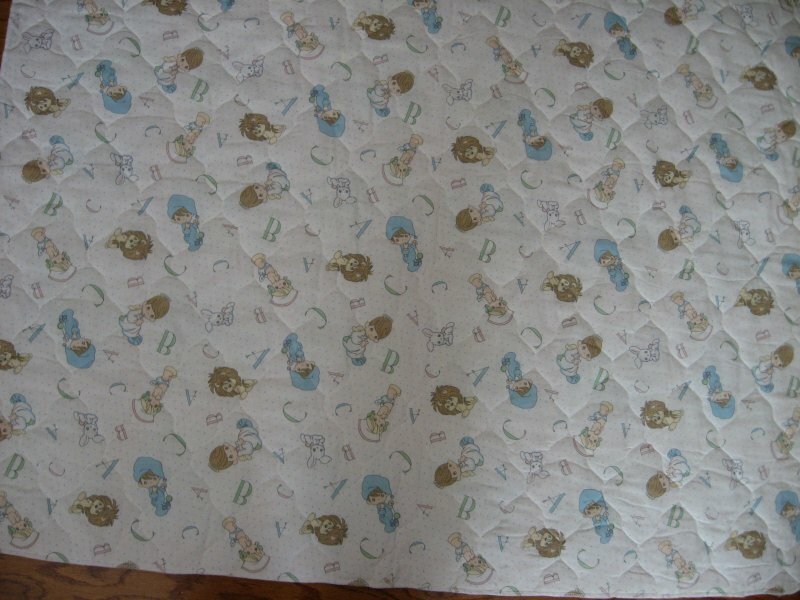 Finished Precious Moments crib quilt -Made with quality cotton front and back, and filled with polyester batting.Pre-quilted for you. I finished the edges with serged satin binding if you prefer. 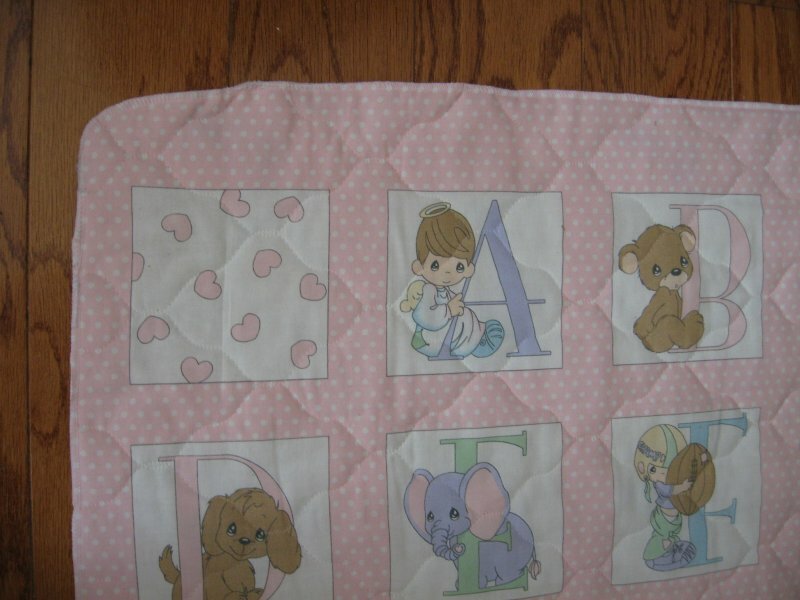 Pretty, pastel colored large pictures of alphabet letters and the matching animals and characters on the front. approximately 34"X44".